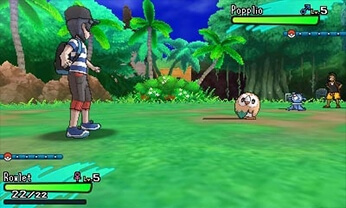 In Pokemon Sun and Moon you take on the role of a Pokemon Trainer who catches Pokemon in the wild to train them and let them face off against the Pokemon of other trainers. In contrast to other Pokemon Games before these, Sun and Moon break some of the traditions known to many gamers, so the end goal of the games are not quite so clear at first. The games are Turn Based RPGs based around the principles of Rock, Paper and Scissors which are represented by Pokemon Types like Fire, Water and Grass. There are 18 Types in Total, each having its own strengths and weaknesses. Knowledge over these Types is the key to victory in your battles. 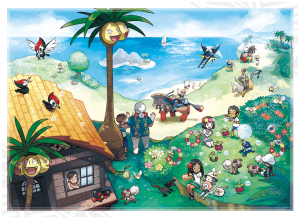 On your journey through the beautiful tropical Alola region, which is based off of Hawaii, you will encounter many Pokemon of varying types while some of them even have two types. Pokemon Sun and Pokemon Moon are effectively the same game with some minor differences. A few of the Pokemon are exclusive to one of the games, so you have to trade Pokemon with other players to get them. The games follow a day and night cycle, which is synchronized with the real time clock. In Pokemon Moon however, the day and night cycle is inverted. The games’ main story takes around 30 hours of playtime, while having some additional content on top of that and an online multiplayer where you take the Pokemon you trained and battle them against those of other Trainers worldwide. The story starts off in a similar fashion to earlier Pokemon Games. The player has just moved to the Alola Region and is now starting his adventure in this new tropical place. 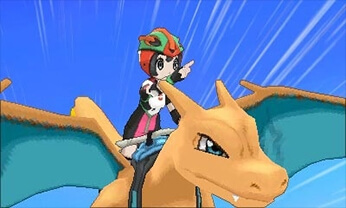 At the very start of the game, the player is convinced to start the “Island Challenge”, an event that all young aspiring Pokemon Trainers of the Alola Region do, where you journey across the four islands of Alola to take on their trials. In the Island Challenge, the goal is to pass the trials set by the Island Captains. Maybe you will find out the purpose of the Island Challenge while you are on it yourself. If it ever where as simple as this. In this well-paced and beautifully put together story, you are going encounter the villains by the name of “Team Skull” who are out to make a quick buck, no matter how many people or Pokemon get in harms way. You will take it on as your duty to protect those who can’t protect themselves and will get into numerous conflicts resolved by battling with your Pokemon. Make sure you train your Pokemon well, so that you can succeed in the challenges that lie ahead. The games’ atmosphere is one of the best in the pokemon series yet. The tropical region makes the environment stand out from its predecessors and the world feels more connected and better designed than ever before. The game pushes the power of the 3DS to its limits and really made us look forward to future Pokemon games on the upcoming Nintendo Switch. 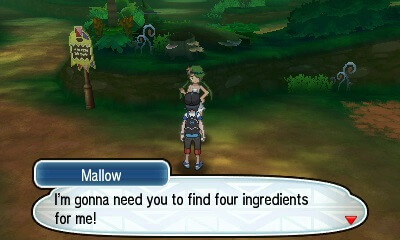 The game mechanics have been vastly improved over previous pokemon games. The grid based movement typical to Pokemon games has been abolished in favour of the free movement found in all modern games. The Hidden Machine System, where you had to teach Pokemon certain moves to traverse certain terrain, has been replaced by a much better system entirely, which enables all 6 of the Pokemon in your party to be used to their full potential. Some conventions of the games have been broken, giving you a better chance to be surprised of the content in the game, not knowing what could potentially come next. Overall if you liked Pokemon games before, this game is great for you and if you were turned off by Pokemon games due to them being too similar to one another, you may be very pleasantly surprised. In terms of difficulty, there is no standard difficulty selection in this game. But there are ways to make the game more challenging, with the first being the Experience Share item. You get the experience share very early in the game. It effectively gives all your party Pokemon bonus experience points, even if they haven’t participated in the battle. Turning it off will therefore reduce the total experience of your Pokemon, making the game more challenging but still very comfortable to play. To further increase the challenge, you can go into the options menu of the game and set the “Battle style” to “Set”. This means that you have to use one of your turns to switch out a Pokemon that may fare better against the current one sent out by your foe. We recommend to use this feature if you are already familiar with Pokemon games and are looking for a bit more of a challenge. Pokemon Sun and Moon have a fantastic story and are a major step up from previous games in the series. There are very few things to critize them negatively for, with one being that there could be a bit more post game content for dedicated players akin to the Battle Frontier in previous games. The upside is that with some of the introduced mechanics, competitive online battling has become more accessible than ever before, giving dedicated players a reason to play for a long time after finishing the main story. For more casual players looking to play through the story, the games are a joy to play and worth your money with a fantastic 30 hours of gameplay. Overall, we had a wonderful experience playing these games and after finishing them, we are really looking forward to the next games in the Pokemon Franchise. 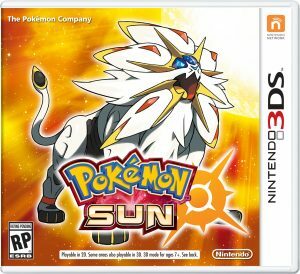 Pokémon Sun and Moon are a great shakeup of the franchise with beautiful visuals and extremely fun gameplay. We can absolutely recommend this game to every fan of Pokémon and anyone else having some interest in RPGs in general. 2 Comments on "Pokémon Sun and Moon Review"
I really enjoyed it but in the end it missed something, ultra has that but that should have been in this.